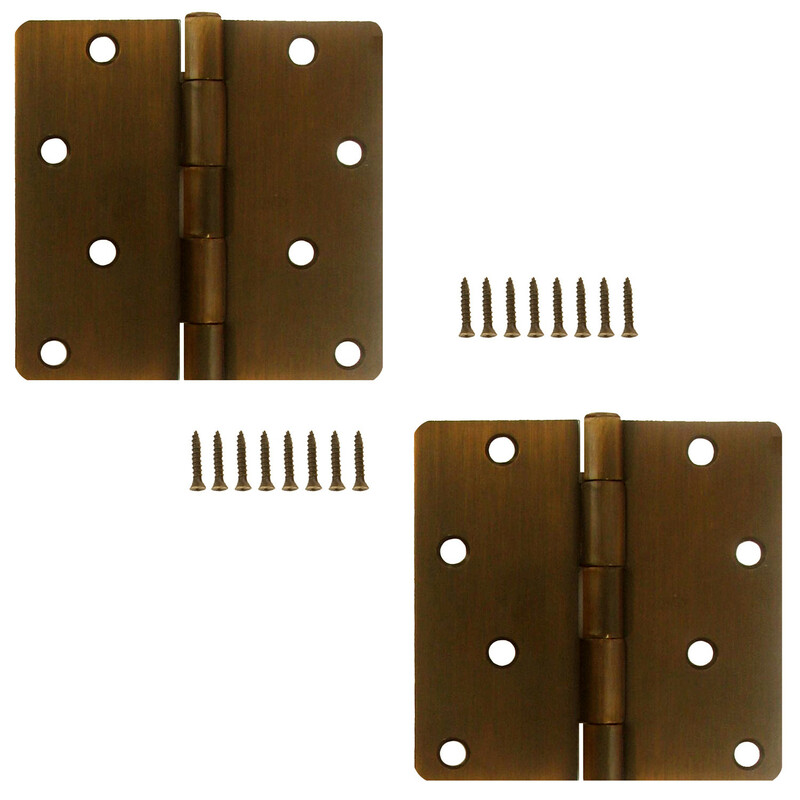 Rprd741 residential door hinges steel 1/4 inch radius round corner carded 4 inches by 4 inches antique venetian bronze For use on interior doors when hollow core or other light weight doors are used. Hole in bottom tip for easy removal of non-rising steel pin. Five knuckle, full mortise design.